I’ve highlighted my top 20 picks for a fun and festive Thanksgiving table in my latest Guest Book for Houzz.com: Casual Thanksgiving Table Accessories. 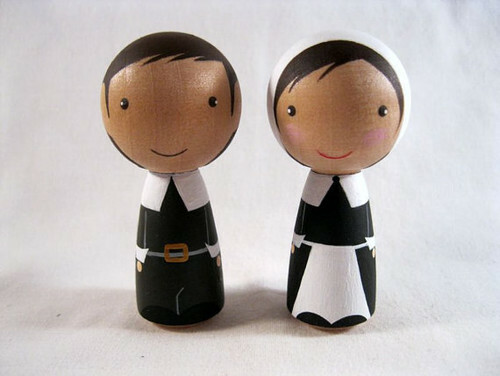 Chalkboard placemats, letter-shaped serving trays, a thankful tree and these cute wooden pilgrims are just a few ways to spruce up the Thanksgiving meal. Do you have any favorite family Thanksgiving decorations or traditions?